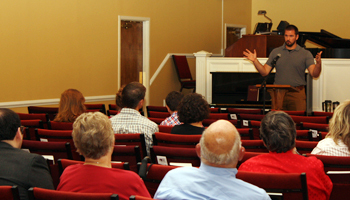 Adult Bible Classes begin with a fellowship time each Sunday at 9:30 with the teaching time beginning at 9:45. Currently we are seeing the theme of redemption, the Gospel, and Christ in the Old Testament by studying through the Old Testament. Twice a year a New Members class is offered to introduce folks to the philosophy of membership at Kennerly Road. 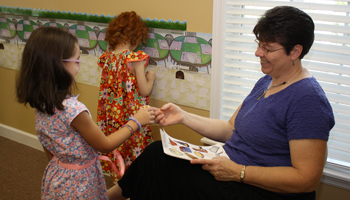 Each week, children's Sunday School classes meet at 9:30 am. During the Sunday morning worship services, we dismiss the children for special, age-appropriate lessons (often called "Children's Church"). These programs help little ones learn about the Savior and become comfortable with the structure and format of a worship service. Caring adults teach these classes and work faithfully to challenge kids with the truths of the Gospel. On Wednesdays, children K4-6th grade, meet for our Kids4Truth program from 7:00 to 8:15 pm. During this program the children learn essential Bible Truths covering key Doctrinal Themes of the Christian Faith. These are taught through Bible lessons and reinforced through Scripture memory, songs and other fun activities. You can find more information about this program on the Kids 4 Truth website. The nursery provides care for children under the age of 4 during all regular Sunday and Wednesday services. Please plan to arrive a little early if you’ll be using the nursery, to allow time to check in. Our nurseries are staffed by church members who have been carefully screened. They serve parents by giving you the opportunity to focus on classes and services without any worry about your child's safety or comfort.